Think you need cold calling and print media to build a successful real estate business? Think again! 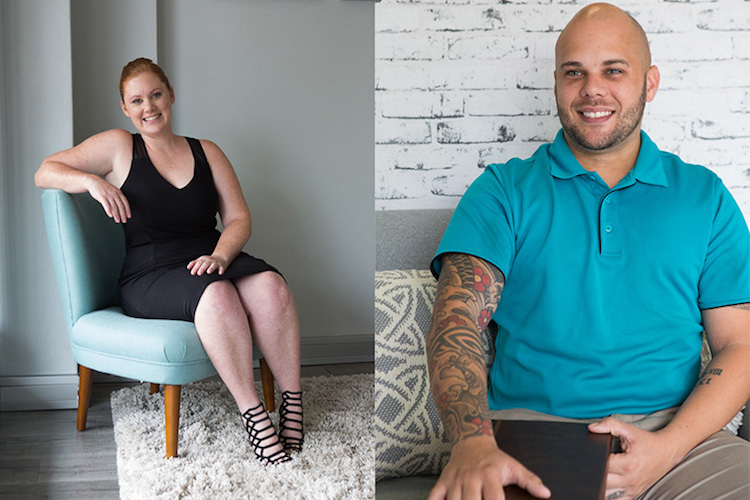 Here’s the story of how one young startup used digital and social media marketing alone to grow their real estate agency in just 18 months. For another year running, I had the pleasure of judging the digital marketing category for the REB Awards. It was fascinating to discover the nominees’ stories, and a few of these businesses, both large and small, really impressed me. However, one real estate business stood out in particular – a startup called Mooney Real Estate, lead by Peggy Willcox. Based in Western Sydney, Peggy and her team have built their business in just 18 months, achieving 58 home sales and growing a rent roll of 200 investment properties under their management. What’s fascinating is that Peggy and her team have built Mooney Real Estate without making a single cold call, letterbox drop or door knock. Obviously, I know a business can be built digitally as that’s how I have built my own but Peggy has a new way of thinking, and she has succeeded without the need for any print marketing. Peggy Willcox wasn’t always a real estate agent or a digital marketing expert. Originally an accountant, she wanted a new challenge but hadn’t found her niche. In 2010 she won a Kwik Kerb franchise in a competition. By spending hours each day researching and implementing SEO strategies for this business, she was able to dominate the market very quickly because her competitors weren’t using digital marketing. Realising Kwik Kerb wasn’t right for her, and armed with the new-found confidence that she was capable of running her own business, she established Popanors Parties, a party hire business. This was when Peggy discovered the power of social media marketing. Through local mums’ communities on Facebook, she gained a huge amount of word-of-mouth referrals, which made her party hire business a success. In 2016, Peggy decided to take her self-taught digital marketing skills and knowledge and apply them to her own real estate business with husband Sean. 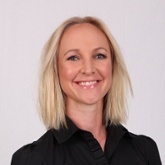 With only two years industry experience under her belt (working for other real estate agencies) Peggy launched Mooney Real Estate and has managed to build a successful real estate brand and a team of her own in 18 months. So, what are the secrets to her success? Facebook is still the leading platform when it comes to social media marketing. The Mooney team got the most out of Facebook by taking a multi-layered approach. 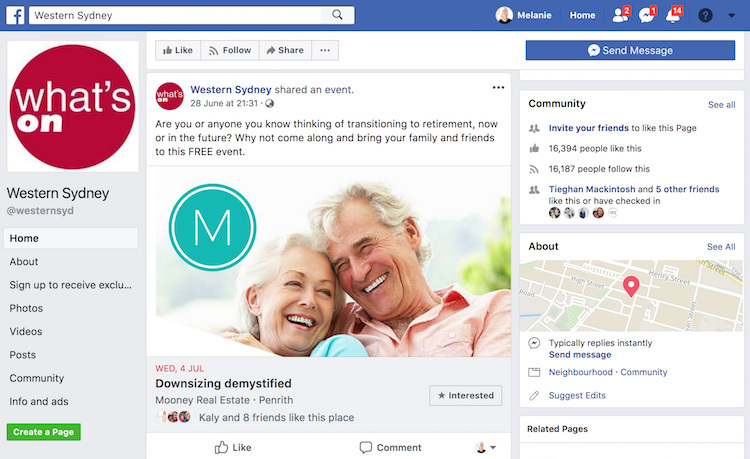 First, they made good use of community pages to connect with homeowners in their local area, such as mums’ groups in Western Sydney. They also created their own “What’s On” page for their local community, which now has over 15,000 followers. They promote their open inspections through this page. Secondly, they use paid advertising to promote their Facebook business page and its content. Important: Space in the News Feed is so competitive these days that organic posts from business pages simply aren’t cutting through. You need to pay if you want to be seen. By gaining positive reviews and rankings on Google Maps, and posting branded pictures on Google Places, they raised the profile of their real estate business in search results. They also carefully monitored Google Analytics to assess the performance of their website so they could continue to improve it. In addition, they helped their Google rankings along by setting up a YouTube channel for their marketing videos. To drive more traffic to the Mooney real estate website, Peggy and her team ran online voting competitions with prizes benefiting the local community. This helped them to improve their SEO and build up an email database of 5,000 locals. Mooney Real Estate is a small, family-owned real estate business. This meant they had to balance the books extremely carefully. Their real estate marketing efforts had to be affordable while making as big an impact as possible, which is why social media marketing was an ideal route to choose. Building and maintaining an online presence takes a considerable amount of time and effort. Peggy and her team couldn’t just stick to regular business hours. They dedicated their evenings and weekends to researching and implementing SEO and social media strategies. When you only have a small team and you’re starting a real estate business from scratch, using digital strategies, you’re not likely to have much time left over for anything else. Peggy established herself as a real personality through her social media marketing strategies, targeting a young, digitally-focused demographic. She took a friendly, personal approach aimed at building engagement on Facebook. Only 20 percent of her content is actually advertising her real estate agency or her properties. This approach was so successful that strangers in the street began to recognise Peggy from her social media presence. This helped to build brand familiarity and trust. Mooney Real Estate doesn’t prospect at all – their leads come to them, due to the success of their online presence. 90 percent of their business comes directly from social media, with Facebook being their main source of leads. Peggy knew that when she became a real estate agent, she would be competing against companies with huge budgets, which could afford to pay professionals to build their online brands for them. However, she recognised the power of identifying her target audience and giving them the marketing content they wanted to see. By doing this, she built the perception that her brand was bigger and more established than it actually was. The strength of Mooney real estate’s online presence led competitors, clients and the community to assume they are part of a large franchise rather than a small, family-run boutique agency. One of the best things, for me, when judging the digital marketing category at the REB Awards is hearing stories like this, and actually being able to see the proof of their success. Mooney Real Estate was true to their word – I could research for myself their Facebook followings and the interest generated in their online communities. They also included plenty of screenshots of the statistics behind each online and social platform. So, I’ve seen the evidence that it’s possible to build a successful, independent real estate business from scratch, with no print media or cold calling. With a little knowledge and a lot of time, effort and dedication, you can establish a digital presence which will secure you a decent-sized rent roll and significant home sales. And don’t forget, there’s always training or creative help available from me and my team if you want help getting started!